Seriously qualified STONE and TILE companies at your fingertips. From kitchen to baths, indoors and out, view stunning design images to stimulate ideas for your projects. Watch how-to videos, search our knowledgebase, read informative articles, and more. Stone Advisory Magazine is a free on-line magazine of Stone Tile PROS. Look for design inspiration ideas from award-winning designers, tips from experts, how-to's, and everyone's favorite... Kids' Page. Be sure to SUBSCRIBE NOW so you don’t miss a single issue! Inspiration. Answers. Resources. That’s Stone and Tile PROS. Welcome to the most comprehensive resource on the web for everything stone and tile. Whether you are looking for inspiration for designing with it, how to’s for caring for it, tips for selecting it, or need services from prescreened, qualified professionals, you will find it here. 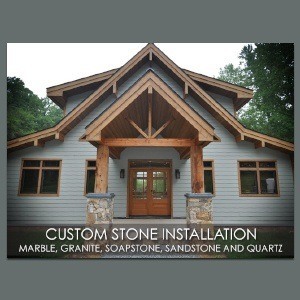 When you come to Stoneandtilepros.com you are tapping into the collective intelligence of a large network of experts representing multiple facets within the natural stone and tile industry. Our Chief Technical Director, Fred Hueston (Dr. Fred), is one of the leading authorities in the world when it comes to stone and tile expertise and troubleshooting. He has written countless articles, published many books and is sought after around the world as a consultant, expert witness, and respected authority on the subject. Dr. Fred’s expertise along with that of our other impressive leaders, and Stone and Tile PRO Partners, which are comprised of restoration and repair experts, design specialists, fabricators, installers and more ensures that solutions and resources provided within Stone and Tile PROs are rock solid. Q. I spilled some silicon lubricant on my flagstone. What product can remove this. In a case like this, I would reach out to the tech support line at Prosoco. They have a product that removes silicone caulk, so it stands to reason that this might emulsify the silicone. 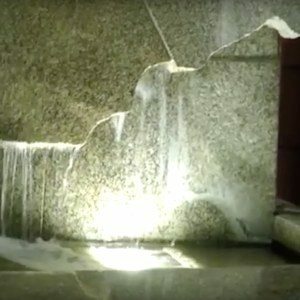 However, unless the stone was well sealed, it probably soaked in. You may have to purchase their poultice product and mix the other product with water into it to make a loose peanut butter consistency. Apply the to the affected area and cover with Saran Wrap for 24 hours, remove and let dry completely. This will be about two days. Scrape off and rinse. If it is better but not completely gone, repeat. If it has remained dark and cannot be removed, consider color enhancing impregnated everywhere else to even out color. Either way, get an impregnating product on the stone to a void future mishaps. Good luck. The folks at Prosoco are great. They will also help with options. Q. We have a Silestone kitchen counter which has developed some "dulling" in a couple of areas. One was due to someone rubbing too hard with a slightly abrasive cloth and the others are due to the sun shining on the counter. Is there anything/anyone who can restore the factory polish shine to Silestone? A. The good news is, Silestone, which is 94% quartz, can be refinished to remove the dulling spots on your kitchen counter. The process involves using diamond tooling, designed especially for quartz to refinish the countertop and blend the entire surface with quartz-specific polishes. Be aware that not all stone and tile professionals work on manufactured stone, such as Silestone, so be sure to ask. 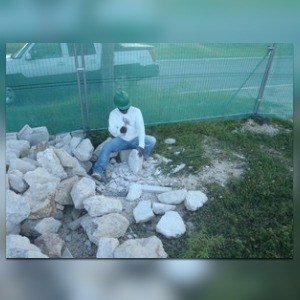 Visit Find-A-Pro to locate a stone restoration professional near you. Thanks to Gregg Laviolette, owner of Stone Restoration Services (SRS), Troy, Michigan. Q. 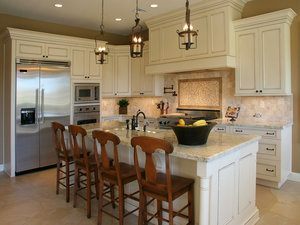 Do I need to have my granite countertops sealed? I have heard so many conflicting answers. 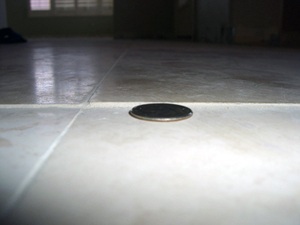 There is a very simple way to tell if your granite, marble or limestone countertops or floors need to be sealed. Take a drop of water and place it on the stone. Wait about two minutes and blot up the water. 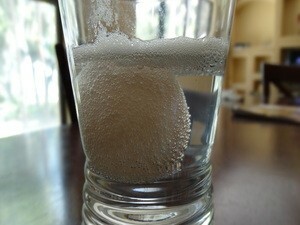 If the water left a dark mark, indicating that the stone absorbed the water, it must be sealed. Do keep in mind however, that sealing a stone is done to give you more time to clean up a spill so staining agents are less likely to be absorbed. Sealing will not protect the surface of calcite based (e.g. marble, limestone, travertine, onyx, and some granite) countertops from damage caused by acidic liquids. So, even though your countertops are sealed, you will still want to take care to use coasters and avoid acid based cleaners. Soil and water trapped under potted plants can stain and damage stone surfaces. Make sure to clean under them at least once per week. Walk off mats placed outside your door will accumulate sand and dirt and will help keep your stone floors looking great longer. Do not use vacuum cleaners with metal wheels since this can scratch your stone floors. For best results when mopping your stone floors, do not use a sponge mop. Use only a clean string mop or micro fiber mop wrung out. It is easy to tell. Take a drop of water and place it on the stone. After a minute or so, wipe the water away. If it leaves a dark spot, indicating that some of the water absorbed, it needs to be sealed. To help keep dust from accumulating on your stone furniture, try dusting it with a dryer sheet. This will eliminate static. To keep your stone shower looking new, use a squeegee to remove excess water after showering. This will prevent soap scum build up and keep your shower looking like new. After everyone has showered for the day, spritz on a little stone safe cleaner and wipe down with a squeegee. 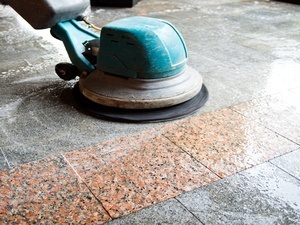 Avoid using abrasive cleaners on your stone surface since this can scratch them. This also includes those green and blue abrasive sponges. Use coasters under drinking glasses, particularly those containing alcohol, soft drinks, citrus juices and those containing any acidic liquids, to avoid etching your polished marble tops. If you do get minor etching, use Stonecare PRO Signature Etch Remover Marble Polish to polish it out (see how to video). Severe etching will require a stone restoration contractor to re-hone and polish. Dirt and grit being tracked in and walked on is the biggest cause of dulling and scratching marble floors. Dust mop floors frequently and damp mop (not wet) following product descriptions for optimal results. Apply a premium quality stone conditioner such as StoneCare PRO Signature Condition on your clean shower walls. It will make them look great plus it will provide a protective shield that inhibits soap film from clinging. 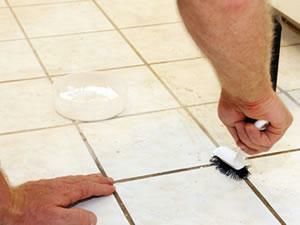 To remove streaks from your stone, wipe with a clean dry terry or micro fiber cloth towel. 6:00 PM Eastern every Wednesday or listen to previous shows on demand. It is the network of Stone and Tile PRO Partners that makes up the wealth of resources and answers available to you on StoneandTilePROS.com. See what their customers have to say about them. ""Roger, I am so very happy with your work and will put you on our Rubloff internal recommendations list."" Restored marble and limestone floors. Honed to remove scratches and etch marks, polished to a high gloss . "Have been enjoying our bathroom ever since you restored it." When we first moved to Boston we got the run-around by many other floor companies who did unsatisfactory work, then some close friends recommended your company. From the moment you walked in, we knew the job would be done professionally and correctly. Job well done! My tile and grout lines look great! My grout had pet stains and discoloration, Restoration by DesignStone came out and sanitized my floors, then cleaned it leaving the floor looking brand new! I was amazed at the end result. I am very pleased with you guys. I will use you again! Hi Vic, I just wanted to drop you a quick note to say a very sincere thank you. I keep walking over my newly color sealed tile floors and inspecting it over and over. I cannot believe what a difference it has made! The whole room looks so clean now. I really love that there is no more problem with the grout looking like it is one color in one area, another color in another area and a whole lot of splotchy areas in between. I hated that so much. I really love that it will continue to look like this for years to come. I can’t believe I didn’t do this sooner. Best to you and I look forward to seeing you next month for my regular carpet cleaning. "I thought my marble floors were destroyed but Potomac Stonecare totally restored them for a fraction of the price of replacing them." Great Job by the guys on our home in Coral Gables. On time, on budget, no surprises. Extremely knowledgeable about floor maintenance and very forthright about abilities. Perfect Marble has been providing marble maintenance services to our property for over a decade. They are responsive and dedicated to their profession and do their best to satisfy their clients. 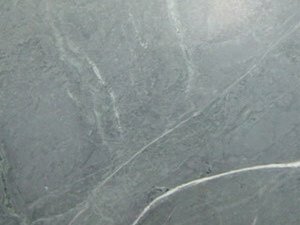 Perfect Marble also works diligently to stay abreast of all of the latest marble maintenance methods and materials/equipment. They present their latest findings to their clients to ensure that they are providing the most effective services the industry has to offer. We have been pleased with Perfect Marble’s performance and professionalism here at the building and would gladly recommend their services to others. As a Commercial Developer I have been very pleased with the services provided by Perfect Marble. In class A spaces where the end result in special areas of bank lobbies with marble or granite flooring or in corridors with elaborate finishes must be presented in their top form, Perfect Marble has come through for us and I would not hesitate in recommending them to the finest office buildings, hotels, or bank spaces here in our area. "...Thanks to Steve and 'New Life Marble Restoration' their expert & professional approach and the way they executed the job. I would highly recommend them to any homeowner & contractor." LaCasse Tile has consistently performed their work to the highest standards, meeting and exceeding the level of quality of our clients. I just want to say thank you for doing a GREAT! job on my tile floor and keeping the work area clean during this project. We were very happy with our countertop replacement. Our salesperson, Nate, was great to work with and the installation went very smoothly. 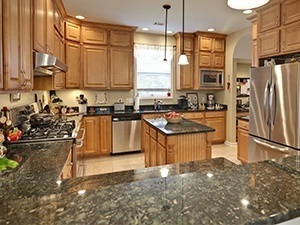 The quartz countertops look so fantastic that everyone who comes into our house thinks we had a complete kitchen remodel! Holbrook Granite surpassed my expectations. 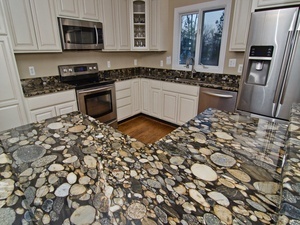 Without a doubt, I would recommend them to anyone thinking about having granite countertops installed. Testimonial given for certified Stone and Tile PRO Partner:Holbrook Granite & Marble Inc.
Amazing…absolutely amazing! I didn’t think it was possible, but you took our old scratched and neglected marble floors and made them look new again. Great job! We were very impressed by both your crew’s courteous and professional demeanor and the incredible transformation of the appearance of our floors. It’s hard to find such craftsmanship these days. I can’t thank you enough. Now that I’ve seen how magnificent the floors look again, I’d like to sign up for your recommended maintenance services. Thank you so much for your effort to restore my travertine coffee table. I really appreciated your kindness in placing the table in its appropriate location in my living room. You definitely extended yourself on my behalf. Friends are amazed at what a great job you did! Your artistic talents are terrific and I will be happy to share your services with my friends. 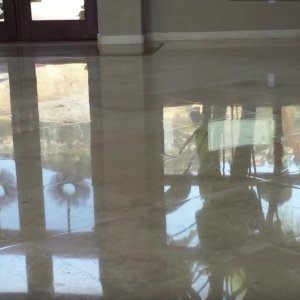 “When it comes to Polished Marble on my commercial projects, Facility Specialists is always my first call. I get professional service and quality work at a reasonable price, every time! I wanted to drop you a quick note to say how gorgeous our marble floors are now! You guys did an amazing job. Really. I just keep staring at them. I will recommend you to all of my friends. Stuart, I am very pleased with the job you did on my floors. The floors look better than they did when they were new. Your crew was very professional and did a great job. They were respectful of our home, they explained what they were doing and were very easy to have around. Thank you. I can’t tell you how very happy I am that Dan suggested that I contact you about my granite. What a pleasure it has been to work with you! I’m so looking forward to getting home tonight and seeing my gorgeous Kozmos counters. Even although it was incomplete yesterday, it was stunning. Kozmos may have been expensive, but I have never looked back since I decided on it, and thank you for being there with me to pick it out. I am so pleased with my experience with Southeast Stone. All in all – great work! I am very pleased with how great the granite looks in my kitchen. I wanted to thank you for taking the extra time in the templating and layout process. You have no idea how it made my day. The install guys did a great job as well as being entertaining. Hats off to you and your team! Hello Gregg, I just wanted to share with you how pleased I am with the work done by your crew yesterday. He was courteous, personable, and professional. He polished our kitchen counter until the deepest stain became invisible. Can you please tell me what his first name is? I missed catching his name yesterday as I had to get out of the building to find a parking spot… I plan on providing a review on your company on Angie’s List soon. Thank you. The result achieved in our powder room was beyond outstanding. Our expectations were exceeded many times over. Every aspect of the service was extraordinary. We would be pleased to provide testimonials for other prospective customers. Thank you for fast work and great polished tiles. They look just like new. Just a note to let you know that we are very pleased with the work done to our marble floors. You guys are easy to work with and respected our home like it was yours. We would easily recommend you to our friends and neighbors. Thanks! I never thought my stone floors could look anything like this. I’ll never use anyone other than Stone Surface Specialists! Shane was very professional, he cared for my home as though it were his own. I had no problem leaving him in my house to work. Stone Surface Specialists is a one stop shop for my carpet and stone needs, we don't need go through the “shop around” process any longer. Thanks Stone Surface Specialists! "I have had the pleasure of working with Surface Solutions for the last 10 years on Maui. Their service surpasses any of the companies I have worked with in the past. As a Property Manager, Surface Solutions is very detailed, contentiousness as well as very experienced, friendly and extremely professional. I would highly recommend Greg and his staff to undertake any job you may have. It has been expressed that no job is too small for them to work their magic." Testimonial given for certified Stone and Tile PRO Partner:Surface Solutions, Inc.
"Surface Solutions stands out as one of the best companies I've done business with on Maui. Their workmanship is outstanding and the staff is efficient, professional and courteous. I have recommended this company to many people and they have all been equally satisfied. It is a company that can be counted on to do a great job every time." Paul came highly recommended by a tile shop. 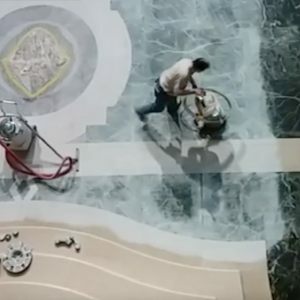 He cleaned, polished and sealed our marble and travertine floors. He also resealed our granite counter tops in the kitchen. He was very knowledgeable and polite. We would recommend him to anyone who needs to spruce up their natural stone." ... an amazing job sealing my granite kitchen countertops, and restoring the shine to my marble floors in our master bathroom. Thanks so much!" "...we will always use Techstone for any of our stone cleaning and sealing needs." "...depend on them exclusively for excellent work delivered on time....they are fair honest professional and skilled craftsmen..."
Scott's craftsmanship as a marble and tile setter shows both precision and pride. I just bought a condo and decided to remodel the kitchen. I was going to have the marble floor replaced, but I did some research and found out that the floor could be restored. I found Diamond Stone & Tile Care and they were able to restore my kitchen floor to a "brand new" condition. They saved me money, time and the convenience of not exposing my whole condo to the dust generated from tearing out the floor. Thanks. "Randy, Your work perfect as usual. Thanks"
Thank you so much for helping us out with the Miller/Edwards job. She really loves the new stone! Another satisfied customer. Testimonial given for certified Stone and Tile PRO Partner:American Stone Care, Inc. They cleaned grout and did some re-grouting and caulking as well. They were very professional and seem very experienced. They had courteous and respectful workers. I would use them again. Just wanted to get back to you asap. The pool area looks amazing!! Your guys did such a nice job and really worked very hard. And it looks it. We will be sure to recommend your business to any of our friends that need this type of work done. Thanks again. I am very pleased with the service I received from Marble Plus Floor Care today. 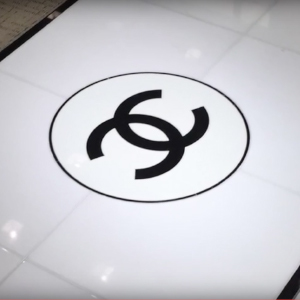 We love how the tile floors look- fresh and new again! Mark worked very carefully and thoroughly in completing thejob. He was courteous and made sure I was happy with the results. I also appreciated the call from Tammy and her helpfulness in answering questions about how to care for the tile floors and cleaning products to use. Thank you for the great service at a reasonable price! "My wife and I were extremely thankful for the way Marble Plus assisted us in the refurbishing of our tile in a very tight time frame. Their employees were courteous and did and outstanding job. Mike and Bruce were very helpful and made an extra trip to our home to make sure everything was done with excellence. I heartily recommend Marble Plus for their outstanding work which is marked by excellence and professionalism." "Our foyer now looks better than new! We were impressed with the quality of work, cleanliness (no cleanup required) and level of professional service. 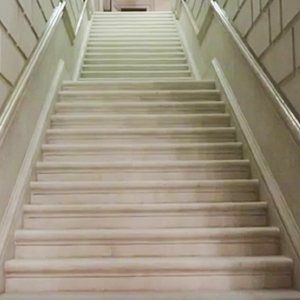 We unequivocally recommend Classic Marble & Stone Restoration to anyone with marble flooring. See you in 10 or 15 years!" "I cannot say enough about the work performed by Pat Staples and her crew. 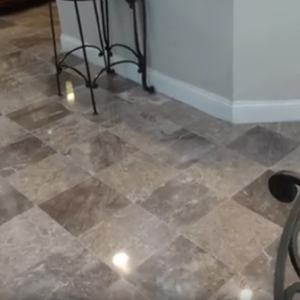 We were very satisfied with every aspect of her work and would highly recommend her services to any home owner concerned with quality and integrity of Classic Marble and Stone restoration." 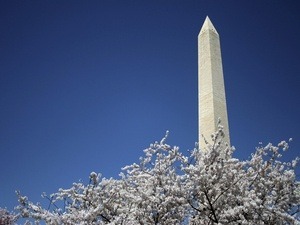 "Classic Marble and Stone Restoration is not only functionally superb but also exceptionally client friendly. It was a privilege and a pleasure to have them working in my home and the results on my granite, marble and slate are awesome." Testimonial given for certified Stone and Tile PRO Partner:Fabra-Cleen, Inc.